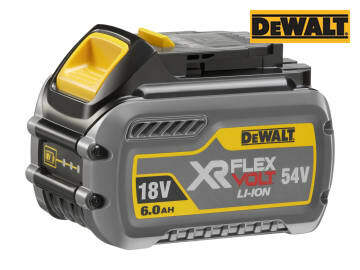 The DEWALT FlexVolt XR Slide Li-ion Batteries stand at the forefront of cordless technology. They are the world’s first convertible 18/54 volt batteries, offering unprecedented levels of power. 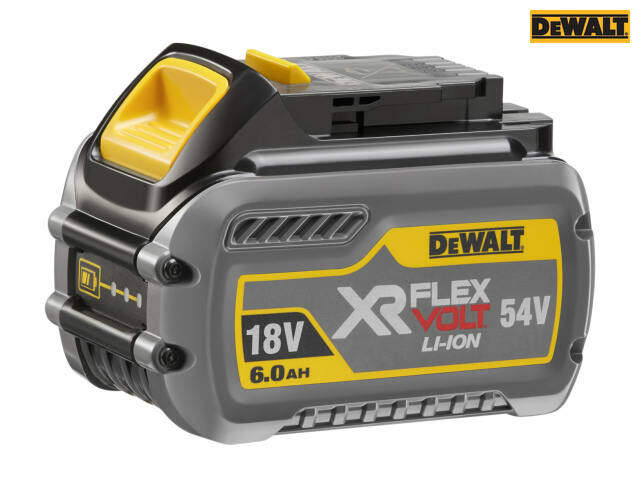 Provides the unique ability to power heavy-duty construction power tools whilst still being compatible with existing DEWALT XR 18 volt products and offering increased runtime. 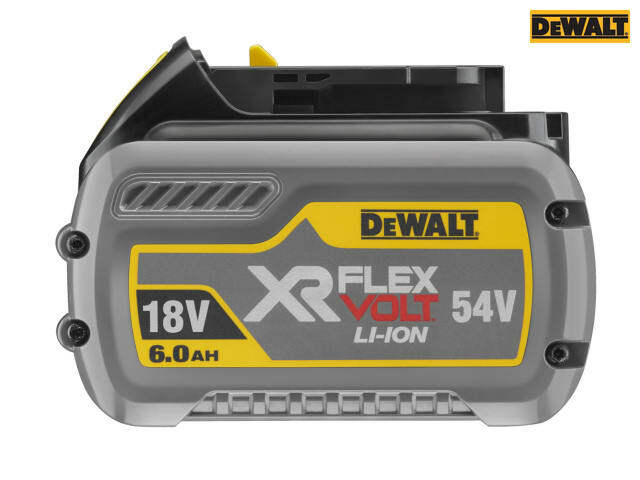 It offers users increased runtime, over any of the 18 volt XR 4.0Ah or 5.0Ah Li-ion batteries. DCB546: Battery Capacity: 6.0Ah@18 volt & 2.0Ah@54 volt. DCB547: Battery Capacity: 9.0Ah@18 volt & 3.0Ah@54 volt. DCB548: Battery Capacity: 12.0Ah@18 volt & 4.0Ah@54 volt.